England could be short of 51,000 nurses by the end of the Brexit transition period, a new report has warned. The study, Brexit and the Health & Social Care Workforce in the UK, was commissioned by the Cavendish Coalition, which comprises 36 health and social care organisations. The report offers a stark outlook for nurse recruitment, both domestically and internationally, over the next three years. The National Institute of Economic and Social Research carried out the workforce analysis, which estimates a shortfall of between 5,000 and 10,000 nurses in England by 2021. Early evidence has shown that since the referendum, there has been an increased number of nurses from the European Economic Area (EEA) leaving the UK, and fewer arriving to replace them. The report estimates that 5% (36,259) of nurses working in the UK originate from the EEA. The predicted nurse shortfall is in addition to the 41,722 existing nursing vacancies in England as of June this year, the report notes. The combined 51,000 nursing vacancy figure is the equivalent of the total nursing contingent for 45 small-to-medium hospitals, say the report’s authors. The report notes that domestic reforms to nursing education in England have reduced the number of people opting to study nursing, with a 20% decrease in applications in 2017 compared with the year before. The report’s authors make several recommendations to address the predicted nursing shortfall, including a review of the current immigration system’s skill and salary requirements, and an assessment of the effect of replacing the bursary system with student loans in England. They also highlighted that the Home Office is allowing nurses to apply for its EU settlement scheme during its current testing phase. 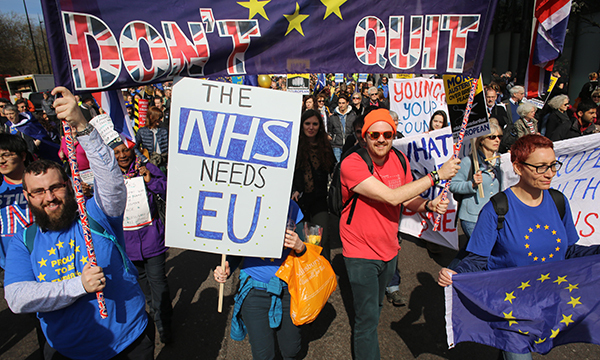 'We greatly value the contribution of nurses to the NHS, and we hope those from the EU will take up the early opportunity to secure their future in the UK,’ the spokesperson added.